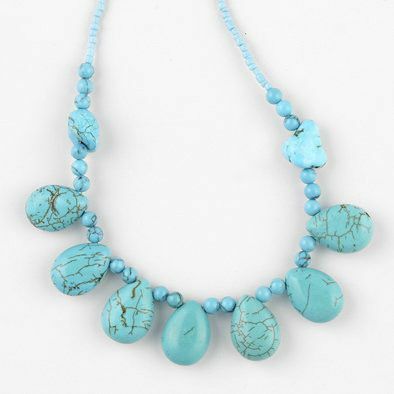 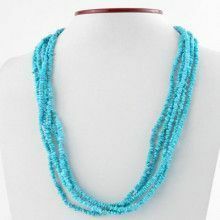 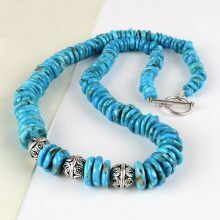 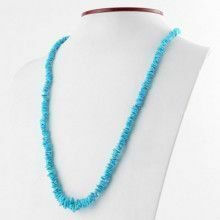 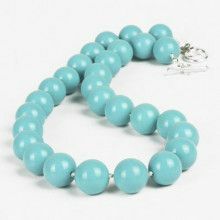 This whimsical turquoise necklace features a row of turquoise teardrops hanging from a strand made up of small turquoise beads. 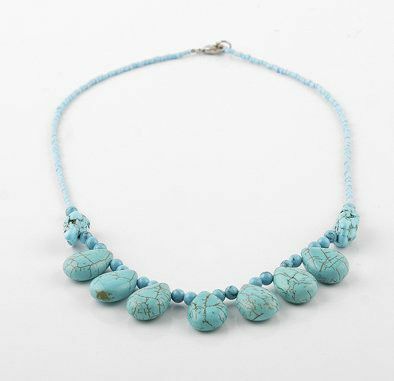 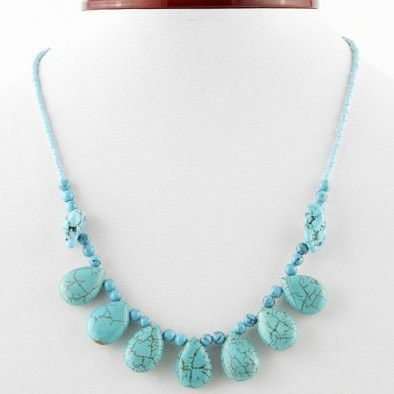 The teardrops are flanked on either side by a free shaped turquoise nugget, each piece displaying the unique beauty of turquoise with a fine, rustic brown matrix. 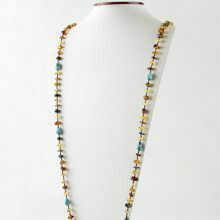 Teardrops measure 3/4" x 1/2"